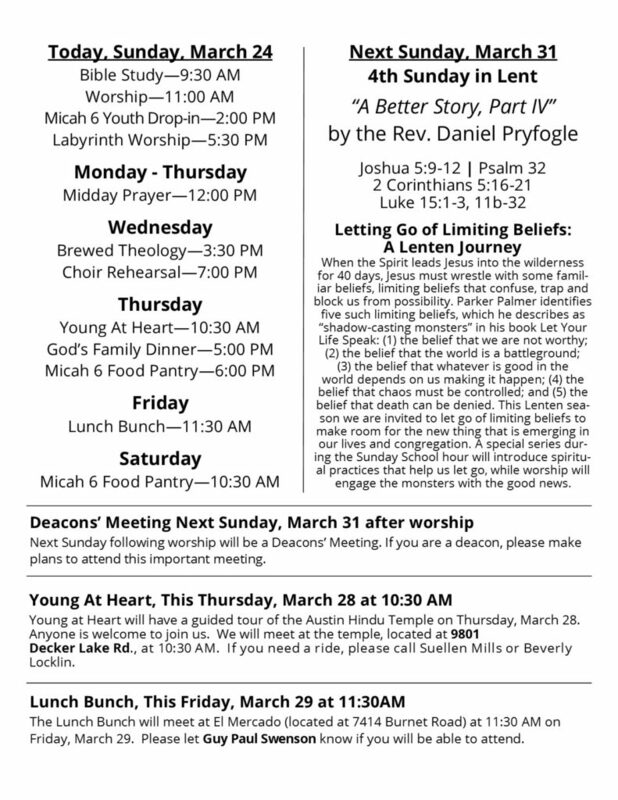 © 2019 University Baptist Church. All rights reserved. 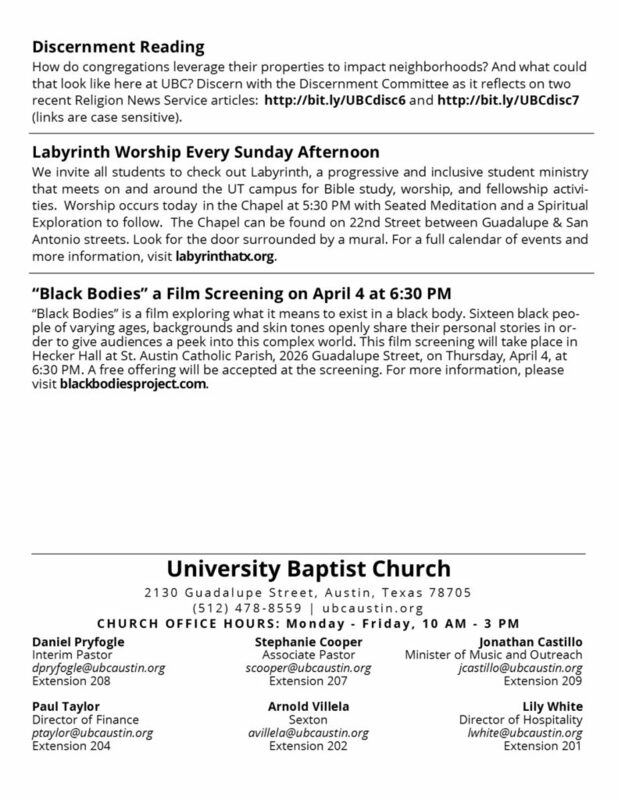 Contact us at staff@ubcaustin.org. 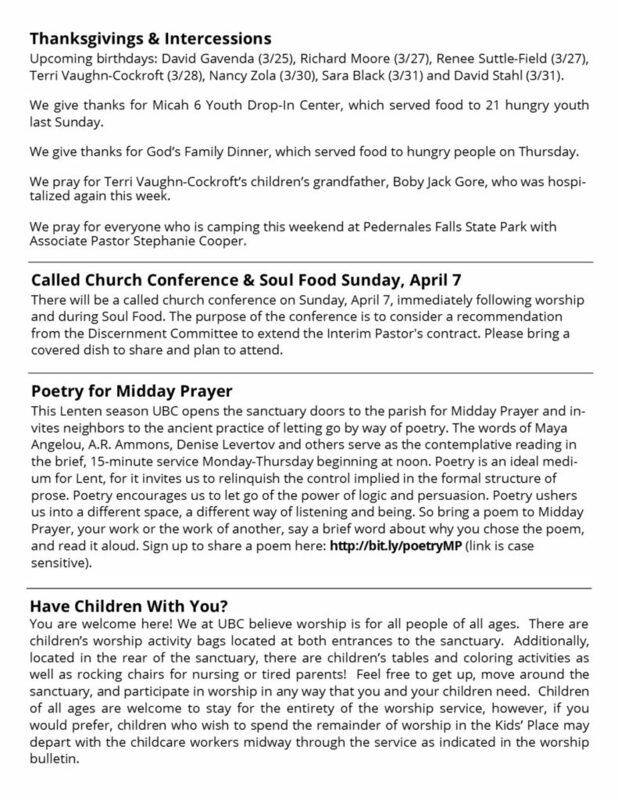 Keep in touch with what's going on at UBC by receiving our weekly Midweek Messages.